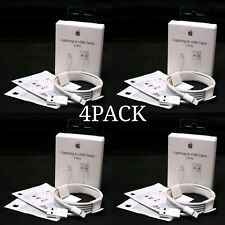 item 6 Apple A1401 12W USB Power Adapter Fast Charge! 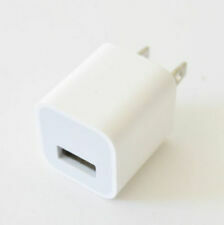 -Apple A1401 12W USB Power Adapter Fast Charge! It works well and is of great quality. I did take it to a local Apple store in my city to verify if really was an OEM. They scanned the code, because it had a slightly different packaging and serial number, they couldn’t provide more information. However they said it looks genuine and probably is one; the adapter and the cable. They also said it should just work fine after we connected it to an iPad. I compared it with the one that came with the iPad, it has slightly different information on it but build quality wise and using it for last 3 says: I can’t see any difference. I recommend this product. It just doesn’t seem to be the real deal, sure it has the logos but I’ve owned a lot of Apple products and this plug does even feel like Apple made it. Their plugs click when you open them from the protective slots and the just flop out not even staying put. The weight feels different. I think they’re counterfeit knockoffs. I thought the price was a little too good to be true. iPad was malfunctioning and I knew the first place to start was power. Ordered a new charger and cable, Item arrived very quickly and looked to be a real Apple product. Plugged it in and it worked wonderfully charging my iPad and got it working as it should. Quality product that works well and has me smiling again, great customer service and shipping . Had to wrap masking tape around charger to get it to work properly. My charger was kind of loosely fitted. Tape worked though and chargers good now. It says authentic original apple charger but the plastic feels of a different grade to that of my original apple charger and where the 2 part slot into each other it doesn’t fully align, there is a gap and it’s not flush. This is not apple craftsmanship. Still it works and is happily charging my iPad.